A family moves in a new home and finds out that they live very close to an Indian cemetery where dead people used to be buried in order to come back from the dead, but not quite as they used to be. When their three-year old son dies in a tragic accident, they plan on burying him on the holy yet cursed grounds, despite warnings. 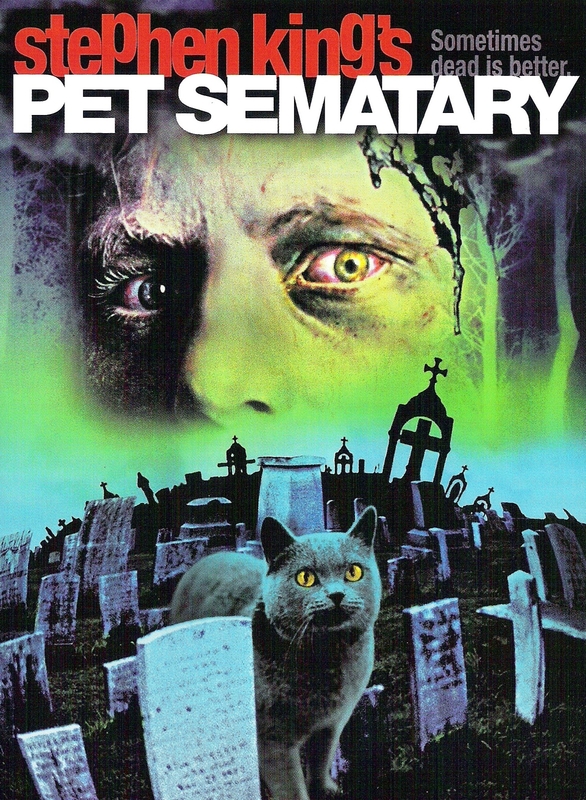 Pet Sematary is a dark story created by the master of horror himself: Stephen King. With his movies it’s always a hit-and-miss, sometimes they are shockingly great, like The Green Mile (1999), The Shining (1980) or even Thinner (1996), or they just turn out to be cheap and forgettable – The Langoliers (1995) comes to my mind. The misspelling of the word cemetery comes from a sign that has been written by a child. For someone who is used to today’s special effects and makeup it might be a little bit of a letdown, but for me as a person born around this time, it is a great and very atmospheric movie. The actors – well besides the whiny mother – are very believable, and especially Miko Hughes as little Gage is doing an impressive job; until today I am wondering how they got him to make these creepy faces. But as many childhood stars his glory years remain around this time; at least I don’t remember him in any other significant role besides Mercury Rising (1998), starring him and Bruce Willis. Awww, I feel honored, thank you so much! That means a lot! Agreed. What’s your favorite Stephen King Movie? It should be The Shining. I know, the trailer looks really good, and the fact that they postponed it to make it darker got me very excited!